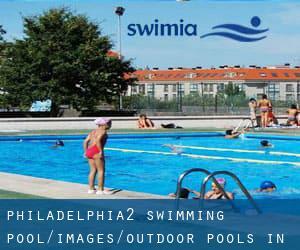 Please check the nearest Outdoor Pools in Philadelphia (Pennsylvania) (Pennsylvania) or Contact us to ADD IT. It's free! The very best Outdoor Pools in Philadelphia (Pennsylvania) (Pennsylvania) are located primarily in huge cities but it's also widespread to locate public pools in rural areas. 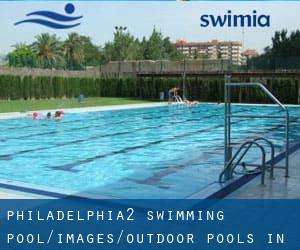 These are the Outdoor Pools in Philadelphia (Pennsylvania) (Pennsylvania) other users have reported. Are you a local and your pool is just not listed? Contact us to ADD IT. It is absolutely free! Please contact the facilities to check which activities are offering and their timetables. Swimia.com demands your feedback to ensure all the information is valid, given that perhaps this pool is no longer open to the public. Regular users told us one of the most significant thing of swimming is to control your breathing. To acquire this, our head should really be aligned with our spine all of the time. Updated on 2019 4636 Crackersport Rd. , Allentown , PA , USA (Postal Code: 18104). This sports center offers 25 meters x 54 feet, 6 lanes, Indoor/Outdoor. For this Pool, only phone number is number here. 2546 Millrace Road , Emmaus , PA , USA (Postal Code: 18049). Among all of the activities offered by the center, should you be thinking about swimming you will take pleasure in 25 meters, 6 lanes, Indoor/Outdoor. Just in case you wish to contact this Swimming Pool before dropping by, we only know the phone number. Updated on 2019 1 Highpoint Dr. , Chalfont , PA , USA (Postal Code: 18914). This sports center delivers 25 yards, 6 lanes, Indoor/Outdoor. For this Swimming Pool, only phone number is number here. 251 W. DeKalb Pike , King of Prussia , PA , USA (Postal Code: 19406). This sports center provides 22 yards, 4 lanes, Indoor/Outdoor. For this Swimming Pool, only phone number is number here. Updated on 2019 605 Cocoa Avenue , Hershey , PA , USA (Postal Code: 17033). This sports center offers 25 yards, 6 lanes, 11 feet maximum depth, Indoor/Outdoor. For this Swimming Pool, only phone number is number here. Updated on 2019 3200 43rd St , New Brighton , PA , USA (Postal Code: 15066). Swimmers like you reported 25 meters, 3 feet - 11 feet depth, Indoor/Outdoor. Unfortunately we do not have the e-mail address of this Swimming Pool, but we can give you the phone number.